WordPress keeps various stat counts of what is happening, including over the past year. And it’s very interesting. So what have you been looking at ? Shows the influence of the big sites. My busiest ever day was in October, when You Look Fab (Angie Cox) mentioned my necklines post. Second busiest was in May, when Inside-Out Style (Imogen Lamport) mentioned this blog. (Don’t know why people always look at that instead of the more recent one). Related to the most popular posts. The most people follow up some of the links from the necklines post. 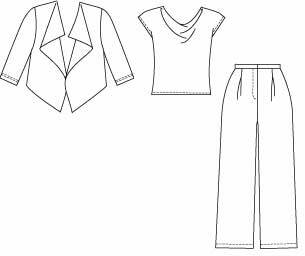 Sue Neall’s article on sewing a wardrobe in a weekend. 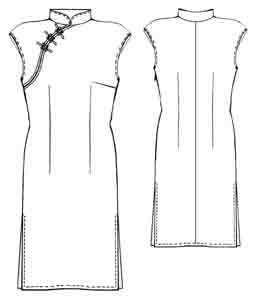 Perhaps there is very little on the web about making your own cheongsam. Anyway, people have been very interested in those patterns. and the dress from New Look 6812 (no zip). 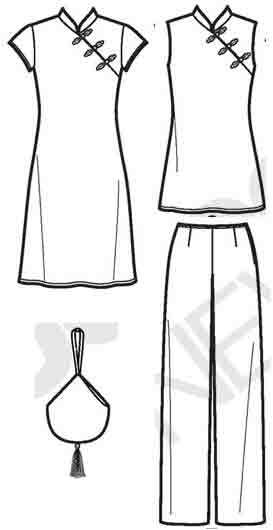 Another favourite is an even quicker wardrobe, Butterick 5045. There’s also a vest version of the jacket without sleeves. 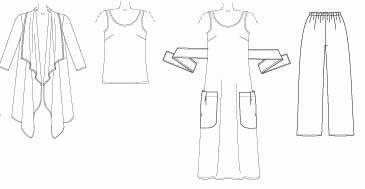 Use jacket/ vest/ dress at many lengths. ‘Getting to know my sizes‘ is the post that has had the largest number of comments ever ! All the way from ‘oh thanks, I need to try that myself’ to ‘what is all this unnecessary fuss about’. Of course fitting methods are aimed at the average, so they work for the largest number of people. But I would like to give some courage and hope to all the people who have tried every easy fit method there is, and still end up looking like a potato raised in stony ground. Best Wishes for a good 2012 full of successful projects and happy sewing experiences. This entry was posted on December 31, 2011 at 10:32 am and is filed under sundry messages. You can subscribe via RSS 2.0 feed to this post's comments. Both comments and pings are currently closed.